One medium sweet potato has 103 calories and 25 grams of carbohydrates. Sweet potatoes … An ideal choice for athletes. Sweet potatoes provide a balance of nutrients, and are high in vitamins, minerals, antioxidants and fiber. Sweet potatoes are high in health-promoting antioxidants, like Vitamins A and C.
Sweet Feet members understand and believe in the nutritional benefits of sweet potatoes and the role they play in training as well as a healthy and active lifestyle. Sweet Feet members and supporters have the opportunity to share information with others seeking advice on health and nutrition focusing on how sweet potatoes can fit into an active lifestyle. When it comes to choosing the best “carb” for athletes, we think sweet potatoes are #1! Naturally nutrient rich and only 103 calories in a medium sweet potato (2 inches in diameter and 5 inches in length). Sweet Feet Team members know just how sweet potatoes aid their bodies in their work outs, both prior to working out as well as recovery. We like to Eat Sweet for a Healthy Finish! 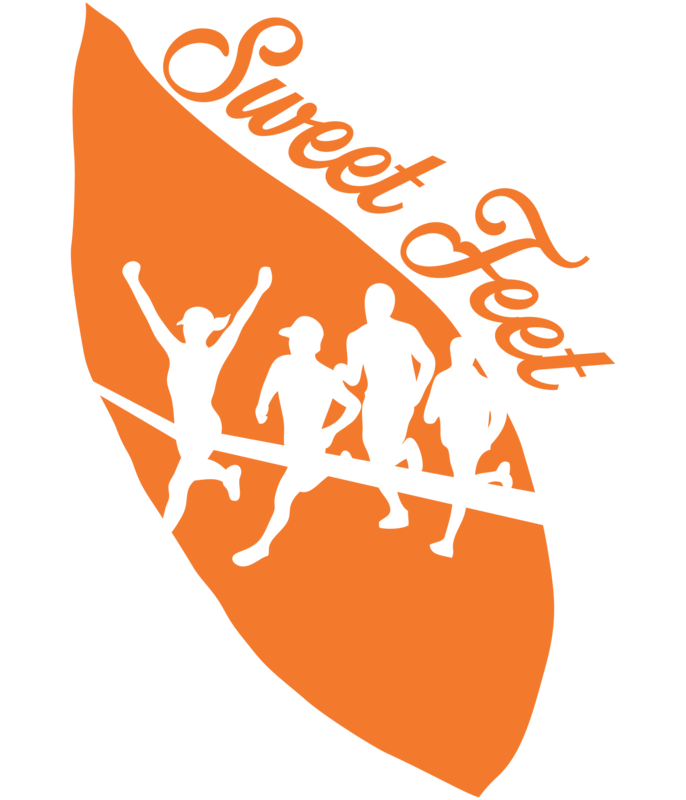 Sweet Feet is a group of runners who select at least 3 races to run during the year. We encourage all to stay active and promote sweet potatoes throughout the year.